The simple 4 point argument for why bicycle helmets should not be compulsory. Riding a bicycle is a healthy activity and people who do so regularly, live longer, on average, than people who do not ride bicycles. Cycling should be encouraged. Cycling is inherently safe. Laws that make the wearing of helmets compulsory (or any safety equipment, for that matter) present the message that cycling is dangerous and in turn, act as a barrier to people taking up cycling. Wearing a helmet may of course, reduce the risk to an individual of suffering a head injury in a crash. This logic applies to all activities. But for cycling, that risk needs to be weighed up against the potential to discourage people from participating in such a healthy activity and efficient form of transport. The negative impact of mandating for helmet use is that it undermines the benefits of lots of people cycling slowly like #wheeledpedestrians. A compulsory helmet law is a convenient smokescreen for inaction on making our roads safer for all users. Safety will come with more people cycling, slowly. And more people will cycle if the transport environment is safer. A combination of reduced traffic, reduced speeds and an allocation of space to people on bicycles will achieve that goal. Unless you are participating in a high risk, sporty event, the wearing a helmet while cycling needs to be/remain a choice. 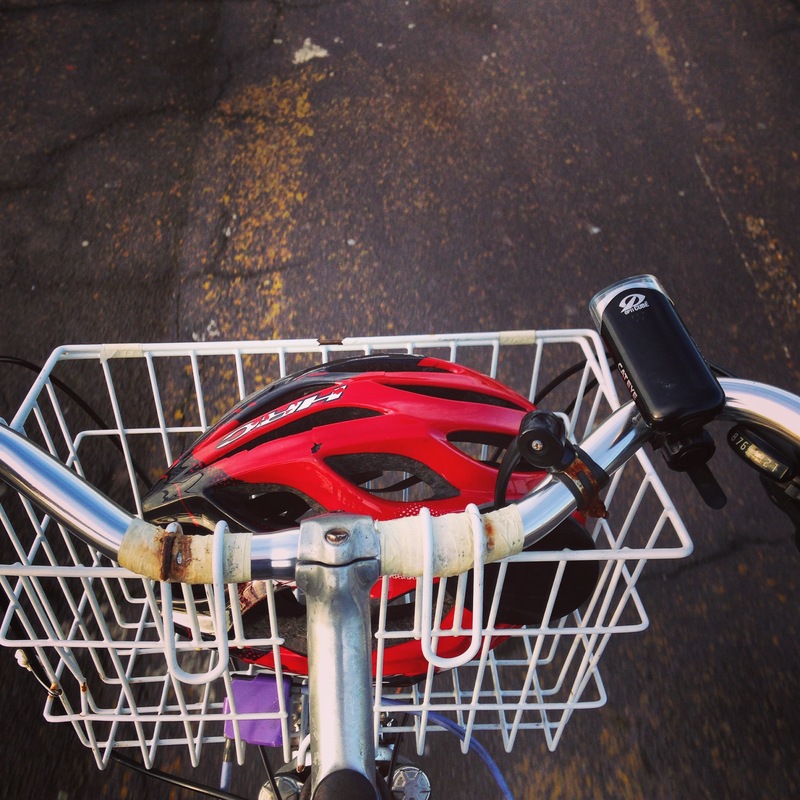 ← Biking for a better city. There’s a concept called Risk Homeostasis that basically said that people are comfortable with a certain amount of risk. Having a helmet on means that people on bikes will likely take slightly more risk because they feel safer. Similarly, motorists interacting with cyclists will take more risk because the cyclist is “safer” than one without a helmet. The same problem occurs with hi-vis vests. If motorists expect that all cyclists have one on, they put less effort into looking. Very good insight! Risk Homeostasis is not something I’ve heard off before but I’ve certainly experienced it. Working as a professional in the Alps I see many problems and deaths actually caused by safety equipment generating an extremely false sense of security. There are too many laws already – the number need to be reduced not increased. Better than laws is good design, making safe behaviours easy to do. Exactly. And this site is about getting that discussion started. Helmets are only a bit player. It is more than about cycling. It’s about cities fit for people. We need more people to be questioning the status quo. We know good design is the answer but engaging more people into the discussion is going to give more impetus towards getting this good design implemented. Politicians need to know that it is a serious issue and action is expected. Grow the base. 1. Helmets are good. In a few types of crash, and a few types of circumstances, a helmet may save a head injury. 2. Mandatory helmet laws are bad. They discourage people from riding bikes, so they and society as a whole do not reap the many benefits of cycling. 3. There are much better ways of improving safety for people riding bikes. Head injuries are not the only injuries. In some types of incident, helmets can cause neck injuries, strangulation or concussion. What’s the bigger risk? As the post above says, the data is inconclusive so far. As someone who always wears his helmet while cycling, I support both this post and Ken’s comment above. I am less opposed to mandatory helmet laws for children, because accidentally falling off your bike (without a car around) seems like one of the times when a helmet might well be useful, but I expect most people are open to that exception. Nah, that’s BS. It attempts “proof by handwaving” that helmets are helpful, which is not supported by the real-world data (which it doesn’t mention). Saying “sure, helmets are useful” and then moving on to the bigger problems isn’t helpful because it allows the flawed helmet promotion to continue. Better to say “sorry, the data says helmets are insignificant” and move on. Never understood this resistance to wearing helmets nonsense. If you want to take the risk, go ahead but I know that wearing one has saved be from a serious head injury (from an accident that was entirely my own fault) at least once (braking and trying to turn when clearly too fast – went over handlebars and planted face into road). Only caveat to that is presence of traffic had caused me to cycle faster than I would have otherwise but it could just as easily have happened if I’d been going down a hill. I’m a trouble making trot, who loves nothing more than sticking it to the man but I’m not taking unnecessary risks with my own health. Escaped with mild concussion, slightly bashed face, bruised ribs, broken specs and pinky. All fine now. Could have been very serious if not fatal. It could have been, but probably wouldn’t – especially as you face-planted, as the tested area of the helmet is the top – up to 86mm above the vertical centre of the face, depending on size – so it need not do much in a frontal impact except fall to bits. The resistance to helmets is partly because they show no population-level benefit and many former users like me found they crashed more when using helmets and we don’t really know why. It’s always better to crash less, on good infrastructure if you have it, than go ferrit and rely on a helmet to save you when it all goes wrong. As your concussion and broken finger shows, helmets don’t prevent all serious injuries, not even head injuries. I hope you’re mending well, anyway! I suggest that we apply the “speed kills” message to bicycles as well as cars. I would suggest that moving at a wheeledpedestrian speed is inherently safe. The problem seems to stem from the presentation of cycling as a fast, sporty kind of activity. It’s cycling through the eyes of avid cyclists. We are not willing to abandon our reason for a magic plastic hat talisman. There is no “anti helmet” crowd. There is only a “don’t lecture me about alcoholism while I’m enjoying my pint” crowd. You’re a teetotaler, fine. I like beer . This: https://www.youtube.com/watch?v=34FyWCutqvw is the joy MHL advocates seek to stamp out. What is the evidence that compulsory helmet wearing deters people from cycling? Thanks for your question. I think you will find that this is an issue of psychology and behaviour. Areas that need to be explored more fully if we are to make any progress. This is a quibble only, but I came here with excitement about reading an astoundingly succinct article. It is in fact 13 sentences. Ha! Yes, you are quite right. It is misleading. It actually did start out as just that…4 sentences but, I then started getting some constructive feedback which prompted me to qualify some aspects of the argument. Interestingly, the feedback has been mostly curious and constructive. This post has been very popular over the last 2 days. Especially in Australia. I’m curious about what is driving this traffic. Any ideas? Anyone?